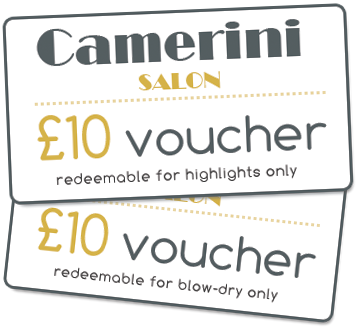 Camerini Salon is committed to safeguarding your privacy. Contact us at if you have any questions or problems regarding the use of your Personal Data and we will gladly assist you. This includes information that is automatically stored by cookies and other session tools. For example, your shopping cart information, your IP address etc. This information is used to improve your customer experience. When you use our services or look at the contents of our website, your activities may be logged. This website is hosted by Heart Internet at their data centre in the UK. Their GPDR compliance statement can be found here. Dropbox: Backups of our databases including any or all of the above data are uploaded to Dropbox servers. File data in transit between Dropbox clients (backup apps on our websites) and the hosted service is encrypted via SSL/TLS. Dropbox’s Legal, Trust, and Privacy teams have carefully analysed the GDPR and are undertaking the necessary steps to ensure that they comply. ​​Dropbox claim they will meet the requirements of the GDPR by 25 May 2018 (https://www.dropbox.com/en_GB/security/GDPR). We do our best to keep your Personal Data safe. We are moving to safe protocols for communication and transferring data (such as HTTPS). We use anonymising and pseudonymising where suitable. We monitor our systems for possible vulnerabilities and attacks. Our website is secured by Wordfence Security.